It’s January — time to hike off those holiday pounds in our vast network of green belts and parks. A good way to bring fitness and fun front and center is to download the new 2012 East Bay Regional Park calendar. The free photo calendar features some of the region’s most colorful creatures along with a running list of events in the parks. 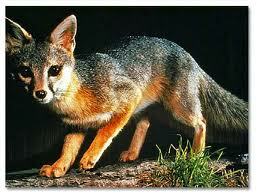 January celebrates the gray fox — an animal as elusive as a snowflake in summer because of its shy, nocturnal nature. Who knew this critter was also an expert climber? A sunset walk through Tilden might afford you the opportunity to see the gray fox, especially if you look up into the trees. February’s “pin-up pal” is the Goldenrod Crab Spider, an expert weaver in her own right. Her electric yellow body looks stunning on the park’s purple wildflowers as she waits patiently for dinner to come calling in her web. The quizzical bobcat is the March poster child. The long, pointed ears and fine fur coat make this feline the queen of the woodlands in the Diablo foothills and parks like Black Diamond, Del Valle, Las Trampas and Pleasanton Ridge. With a face only a mother could love, the gopher snake charms the 30 days of April. Don’t be fooled by the snake’s marks and behavior, which make it seem venomous. This reptile has rattler envy but is really just a harmless imitator. May marks butterfly season and the photo of the month is the Painted Lady sipping nectar from a native flower. The calendar copy reminds you that butterflies seek out plants that yield nectar — like the ones in the Regional Parks Botanic Garden in Tilden. You have to look hard for June’s offering — not unlike a game of Where’s Waldo. The photo features a newly-hatched California least tern, snuggled safely in a nest of daisies in Hayward Regional Shoreline. Each summer, the least tern travels from Baja California to the Bay Area to breed. July, August and September promote dragonflies, turtles and coyotes. Look up, down and all around to see these native creatures. A coyote may even follow you from high on a ridgeline along the Moraga Trail. Whooo is October’s feature creature? You may hear it before you see it, as the great horned owl blends in beautifully with its environment. Look for this feathered friend in the treetops at dusk just before prime time for hunting. Shorebirds stand out for November. The East Bay Regional Parks are home to countless creatures of flight, from black neck stilts to American white pelicans. And finally, full circle to December — where a character called the newt stares you down. No, it’s not a political figure, it’s the California newt on the calendar for the holidays, a critter you might see if you cross the road in its protected zone in Tilden Park. To download a “green” copy of your own 2012 calendar, log on to http://www.ebparks.org/ and click “2012 free calendar download,” or drop by EBRP district headquarters and pick one up (while supplies last).